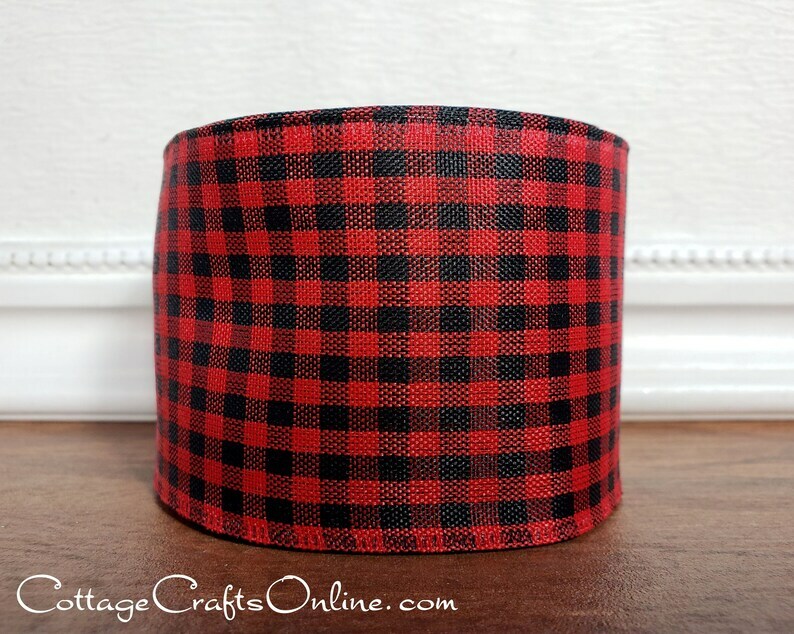 Red and black gingham check, 2 1/2" wide, with a wired edge. The last photo shows it with the 1 1/2" version and the two widths of the larger sized check of "Cabin Check". RETURN POLICY: Please choose carefully. Once placed, orders for seasonal ribbons, including this item, cannot be cancelled or returned.